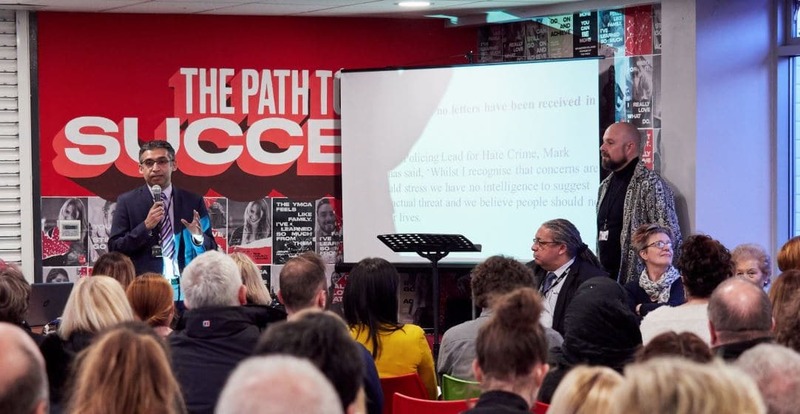 ‘Harms of Hate’, an event organised by Stoke-on-Trent City Council, took place at the YMCA, Hanley, on March 28 2018. The aim was to signpost services that are available in Stoke-on-Trent for victims of hate, building a community ethos and resilience around any form of hate in the city. The event, which attracted just under 200 people, was organised by Adrian Waters, Community Coordinator for Counter Extremism at Stoke-in-Trent City Council. Adrian recently spoke to our blog about how such events are helping to strengthen local communities. I’m the Community Coordinator for Countering Extremism, employed by Stoke-on-Trent City Council in partnership with the Home Office. My role revolves around encouraging and developing resilience within communities against extremism and hate, countering extremism by developing and supporting positive mainstream voices, which encourage democratic processes, respect for the law and civil society and promote equality and opportunity for all. What was the purpose of the ‘Harms of Hate’ event and how did it originate? The event was to shine light into dark places, dispelling myths that can lead towards discrimination and hate. We aim to provide an opportunity for our city to hear the accounts of survivors of intolerance and extremism. We want to provide remembrance to victims and influence communities to recognise ‘harms of hate’ and work against them. 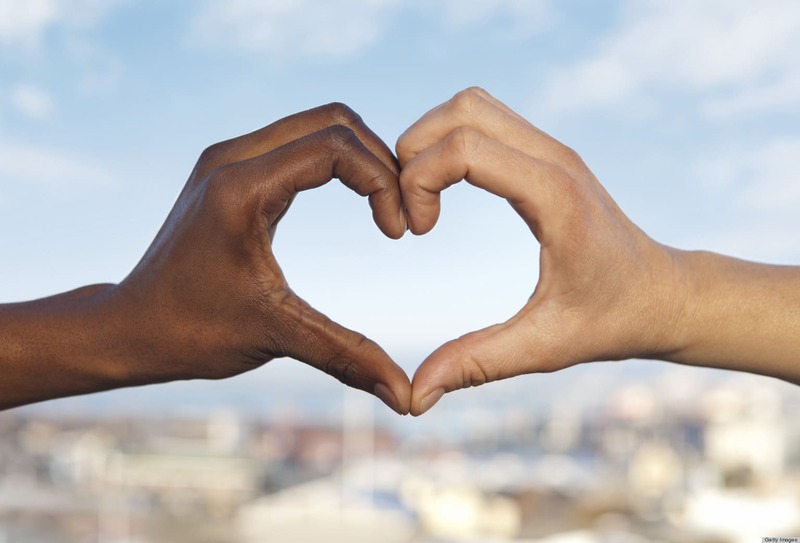 We look at signposting towards services that can support victims of hate. This includes organisations including Tell MAMA and Challenge North Staffs as well as Police and the City Council departments, Community Cohesion, Counter Extremism + Prevent. Ultimately we want to provide reassurance messages to communities that could be affected by extremism. Terror threats had actually been made towards schools and colleges on the very day of the event. Nationally, threats had also been made towards Muslims. This event provided a platform to show solidarity against these threats, providing context and reassurance, advising people to carry on as normal and signposting towards services that could help them. Which National Speakers attended the event? Abdulla Rehman MBE, from Tell MAMA, an organisation which supports victims of Islamaphobic Hate. Suzanne Richards, talked to us about the 2015 Tunisia terror attack where she lost 3 members of her family to a Daesh affiliated terrorist, resulting in the death of 38 Western tourists in Sousse, Tunisia. Ahmad Nawaz, spoke to us about his survival at the hands of the Taliban in at an attack on the APS school in Peshawar (December 2014) killing 132 people. Did the event attract any other local groups, causes or organisations? There was great representation from across the city representing the diversity of our communities. It is hard to mention everybody, but there were faith representatives, community groups, charities supporting a range of causes from Hate Crime through to LGBT issues, school, college, university groups and local / community police. The college Challenge Poland Group attended as BME and cultural associations as well as my counterparts from Rotherham and Manchester. I couldn’t have asked for a more diverse and inclusive audience. What feedback did you receive from those who attended? There has been a positive buzz ever since. People are still talking about it and I have to admit shedding the odd tear when remembering or recounting the experiences of our speakers. I have a strong commitment from those who attended as well as those that couldn’t make it, saying that there is support for this kind of event and that our communities want to be involved in hosting and inputting on future events. I did provide a feedback form on the night, almost unanimously all feedback returned rated all aspects very good to excellent (mostly excellent). People were moved and inspired. It has been an opportunity to galvanise the communities and organisations in the city who are already doing great work towards integration and countering harmful ideas. The Counter Extremism strategy brings with it opportunities for partnerships and resources, allowing communities to develop their own campaigns which stand up to extremism. ‘Building a Stronger Britain Together’ provides funding for communities. A number of local organisations have applied, I look forward to more seeing how Harms of Hate will benefit our partners and beneficiaries in moving this agenda forward and perhaps holding similar or linked events. Can we expect further events down the line / how can people get in touch if they have any questions? HUNDREDS of city and faith leaders will be gathering at Stoke-on-Trent’s King’s Hall on Friday 20 April for the city’s annual Civic Prayer Breakfast. The Stoke-on-Trent Civic Prayer Breakfast is now one of the largest civic prayer events in the whole of the UK and organisers expect that this year’s event will attract over 300 faith leaders and community activists. The guest speaker will be the Roman Catholic Archbishop of Birmingham, the Most Reverend Bernard Longley. Event organiser, Lloyd Cooke, Chief Executive of Saltbox, will also interview two city leaders: Sara Williams, Chief Executive of the Staffordshire Chambers of Commerce, will talk about business developments and opportunities in the area. The Bishop of Stafford, the Right Reverend Geoff Annas will talk about his role as chair of the city’s Hardship Commission. The Civic Prayer Breakfast has been an important event in the city calendar since its introduction in 2010, bringing together senior leaders from the city’s business, education, health, police, politics and faith sectors. Tickets to attend the event cost £10 and are available from the Methodist Book Centre in Hanley or by phoning the Saltbox on 01782 207200. Since launching in 2010, the Stoke-on-Trent Civic Prayer Breakfast has become an annual event at the King’s Hall, Stoke, attracting many high profile speakers, VIPs and thousands of guests. The event is one of the biggest of its kind in the UK, with more than 250 faith, business and community leaders coming together to pray for the City. Past speakers include; Ian Dudson (Lord-Lieutenant of Staffordshire), Martin Tideswell (Editor of The Sentinel newspaper), Abi Brown (Deputy Council Leader), Bishop Mike Royal (Apostolic Pastoral Council), Tristram Hunt (MP – Stoke-on-Trent Central), Rob Flello (MP – Stoke-on-Trent South). The Civic Prayer Breakfast is an opportunity for people of all backgrounds to network, engage and connect with other members of the Stoke-on-Trent community. Why do we at Saltbox do what we do? Most people would agree that humanity’s ultimate aim is to have a society that works for everybody, where everybody has a place, feels valued and, more importantly, safe. For us to achieve that, we need to recognise that we’re all in this together. That any society is only as successful as its poorest member. As individuals, we might feel that society’s problems are too big for us to be able to have any impact on. But it’s the small kindnesses – donations of time and money and especially care – that make a lot of the good work that happens in our communities possible. In England and Wales alone in 2016, there were over 167,000 registered charities, many of them small local causes, which contributed more than £73bn* to society. Much of that will be made up of the hard-earned £5 donated out of a pension, £2 from a struggling single parent or 20p from pocket money. We can’t all give huge amounts, but we can all give and, if we do it in unison, we can create a groundswell of support that can be an amazing force for good. Of all money raised, by charities, around 23% can be attributed to faith-based organisations. ** You don’t need to look too far for evidence of this: walk into any place of worship or associated community space and you will see notice boards brimming with appeals for volunteers and details of fundraising drives alongside advertising groups and activities for all sections of society from tiny tots to the elderly. This is because people of diverse faiths share a common outlook when it comes to each individual’s role in caring for their fellow man; God has given to us freely, and out of response to his kindness, we too must give. What, then, is the answer to the question ‘WHy do we do what we do?’ The answer is because it’s good for the self, it’s good for the soul and it’s good for society! One of the ways in which we want to give back to the community that helps us to support others is by being a real source of help. Our aim is to share information on events, services, faith groups, community groups, helplines and funding that will benefit those around us. Check out our Community Directory to see information relating to older people’s activities, drop-in centres and church services where you are. We hope you find it useful. If you have a one-off or regular event that you’d like us to advertise, have vacancies or volunteer posts to fill that you need publicity for, please get in touch on marcomms@saltbox.org.uk. If you share content on social media, you can tag us on both Facebook and Twitter using @SaltboxCentre.